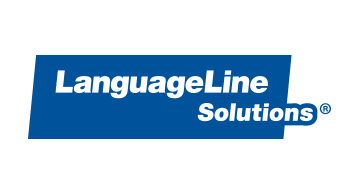 LanguageLine Solutions® provides innovative language access solutions that enable secure, confidential communication, regardless of what language your customers speak. We provide the highest quality interpreting (phone, video remote and onsite), translation and localization services, and language proficiency testing. More than 60% of Fortune 500 financial services firms trust LanguageLine every day to securely bridge language barriers for contact centers, retail locations, mobile staff, company websites and mobile apps. LanguageLine facilitates 37 million phone, video and onsite interactions every year in more than 240 languages, including American Sign Language— that’s a new connection every second.